Greetings from Bombay, where it’s sunny and 90 degrees and does NOT feel like Christmas. But the holiday spirit is definitely everywhere you go. 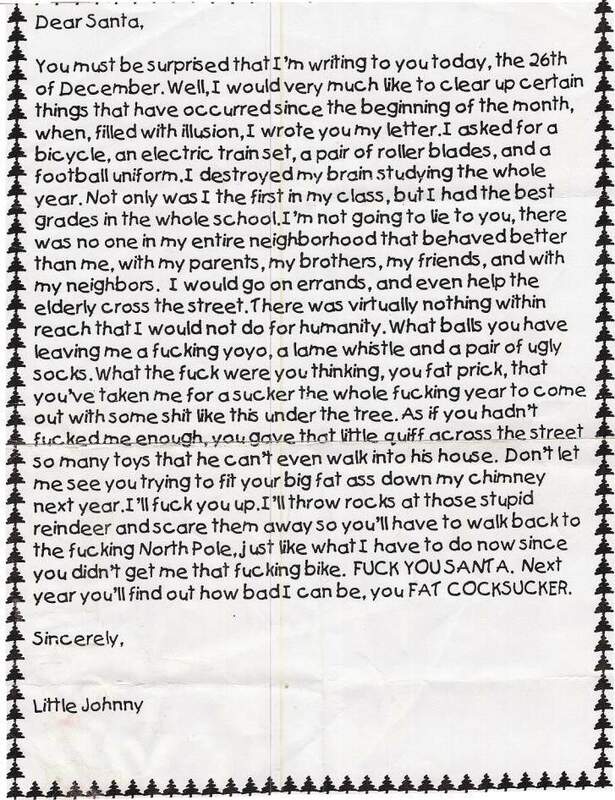 Anyways, if you click on the image to the left you’ll see one of the funniest Dear Santa letters ever. Even after reading it 50 times, it makes me laugh till the point of crying. Man I love Little Johnny. Once again Merry Christmas, Happy Holidays and have a great 2008.